Photo of: East Coast of Ireland: Meath: Boyne. 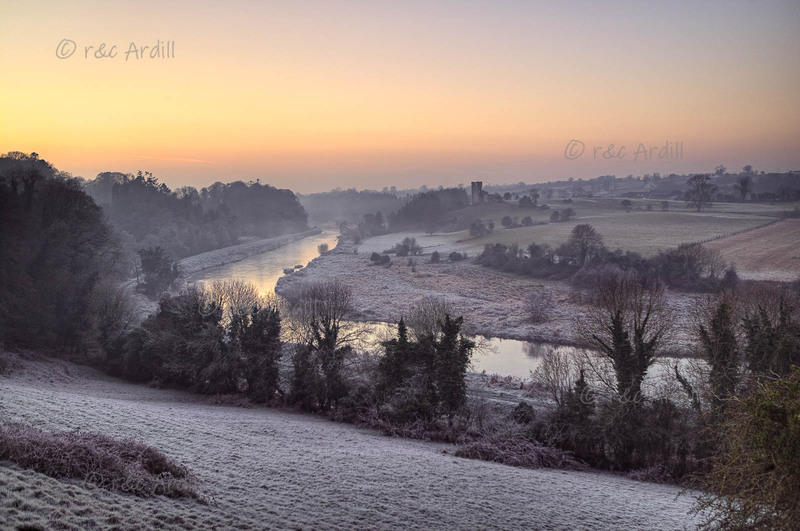 This photograph of the Boyne at Ardmulchan was taken on a very frosty winter evening. The scene is quite misty and almost obscures the ruins of Dunmoe Castle in the background. Sunsets are particularly beautiful in Meath and even though this sunset is not a very dramatic one, it has lovely subtle hues.